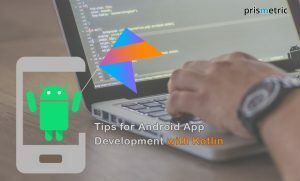 Kotlin as a language for android app development made it easier to reduce the lines of code to be written and provide an amazing experience to developers. 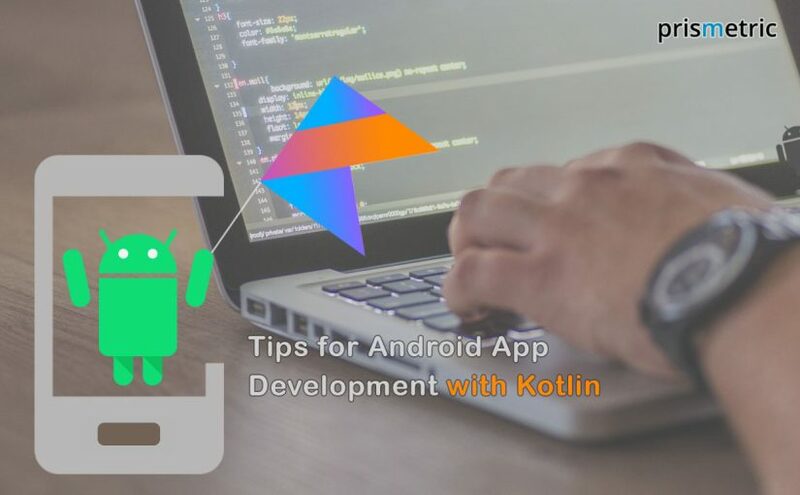 There are some modern programming languages like Kotlin that are changing the face of today’s mobile app development scenario. 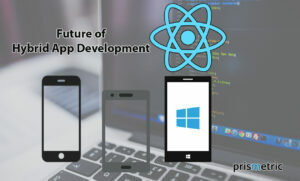 The shift is quickly taking up and so are the developers making a transition for building the app on-the-fly. Not too long ago, Kotlin didn’t exist, but now it towers over Java, that was once everything for Android. But, now things have changed. The widely accepted language albeit has a clear and elegant code, but it comes with minor flaws and syntax is complicated that makes code lengthy and difficult to understand. To address the issue and change the game of Android app development, tech giant JetBrains has created Kotlin. Kotlin- the language was created quite earlier and over the years, its use is also increased in the development, but it’s not officially accepted by Google. For now, the status quo is changed as at Google I/O 2017, the support for Kotlin is officially announced. Why is Kotlin more appealing as opposed to Java? The Kotlin is anticipated to speed up and ease the Android development as it offers a feature-packed goodie bag. Let’s better understand it with an instance of house building. When you hop on to the house development bandwagon, to build the firm foundation and design the best house, what would you prefer- a simple hammer or Hammerton 3000. Certainly, Hammerton-3000. Right? Similar is the event with Kotlin for Android app development. The age-old language Java has updated many times and the upgrades have made it a lot complex along with a few issues. On the other hand, Kotlin is young and with almost no layer of complexity, which is an add-on for the developers. On the record, except NullPointerExeption issue, coding in Kotlin is easier and cleaner and issues nearly go out of the question. The shift from Java to Kotlin is not difficult as the Kotlin is cent percent interoperable with Java, which enables the developers to leverage all existing Java libraries and frameworks such as annotation processing, data binding and so on, in the application. Additionally, both Kotlin and Java can be used in the same application development with perfect compilation. It implies Kotlin can be used in any Java project with no major changes needed like to move the entire project to another at first. The statically-typed language for the JVM has a ton of optional safety types and every class behaves as a function that results in more safety checkups. Kotlin is very easy to read and write. When you begin writing the Java equivalent code in Kotlin, it will get finished comparatively in a few lines of code. Furthermore, Kotlin has removed the boiler plate code that has resulted is readable code and this easy-to-read and easy-to-understand coding makes the debugging painless. When variables are null, they can never be compiled unless they are forced. Java is not a null-safe language where everytime before the code compiles, the developers need to check whether the variable is null or not, otherwise, the NullPointerException will be there. Here, Kotlin excels being a null-safe language like other modern programming languages. However, Kotlin is still couldn’t get out the trap of NullPointerException, but with null in its type system, defining the object as null by the safe operator has reduced the developers’ workaround. It’s a cool feature of Kotlin, which allow the developers to add extra features to the existing Android framework without much ado. Extension functions enable the enhancement of the functionality of the classes without interfering with the code or using any type of design pattern. It’s a great substitute for the utility classes or wrapper creation on the Java, which makes the code more readable. Yes, the other advantage of Kotlin lies is in its open-source nature. It’s an open-source platform under Apache 2 and has an optimal independent developer ecosystem that’s growing along with the Android platform. In future, the rising popularity of Kotlin may turn it into a non-profit foundation. Kotlin boasts to have the right mixture of both procedural and functional programming languages. The high-order functions take the functions as a parameter and return a function. The lambda expressions that are generally surrounded by curly braces in the programming are actually the functions that don’t need to be declared and can pass as a function immediately. The Kotlin is the child of the same company that has designed the Android Studio IDE. JetBrains ensured that Kotlin will have complete support from Android Studio and it works flawlessly with IntelliJIDEA. Also, the complete tooling support for Kotlin is squarely packed into the AndroidStudio. Whenever the developers want to convert a Java file into Kotlin, a couple of alterations in the Android studio menu can make this done seamlessly. Is it the time to bid a goodbye to Java? Do you know? After the Google announcement for Kotlin’s official support, 20% of the apps that were built using Java are now built using Kotlin. 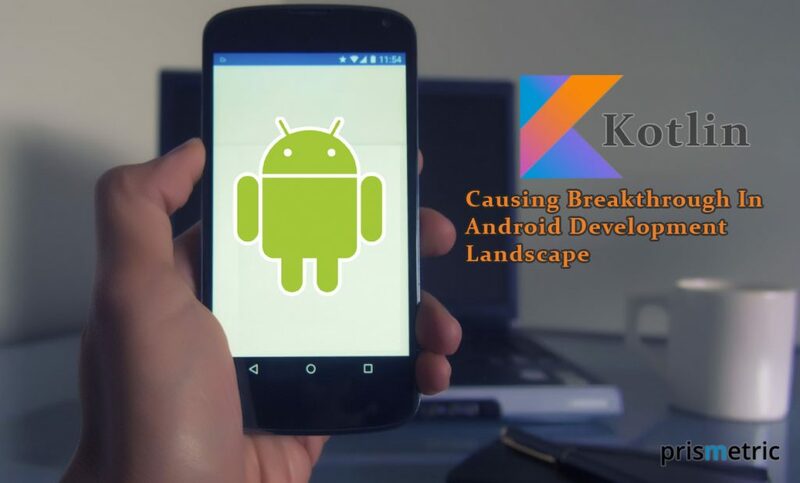 The impressive fact indicates one thing that’s android app developers should begin honing Kotlin skills, else they will soon become an extinct species like-a dinosaur. It’s all because the young programming language perfectly addresses the weakness of Java, and it’s relatively easy which enables the skillful android app developers that offers an amazing user experience. When the crux is so simple, certainly Kotlin will enrich the app development experience. It’s a good start to go. Warmly embrace the kotlin and code with a great fun and simplicity. Her special interest is writing and fortunately she is a writer by profession. She has a unique fascination towards travelling, to explore historical places. Her voyage of writing shall be never ending, as she hasn’t fixed a destination. Every interesting topic she stumbles upon on the internet about technology becomes an inspiration for her next article. She wants her works to be noted as creativity imbibed informative articles.